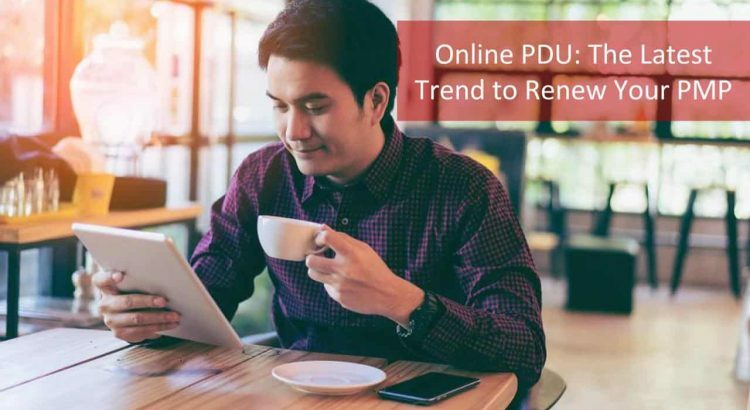 2019 Online PDU: The New & Fastest Trend to Renew Your PMP! Are you a PMP who got your certification recently or a PMP who is looking for online PDU to Renew PMP Certification? Either way, you need online PDU to maintain your credential. Why online PDU? Are there any other ways? When to renew PMP? Let us discuss these aspects of PMP renewal and online PDU. Are you wondering why you need to renew? Maybe a little worried if you need to write the PMP certification exam again to maintain your PMP certification? Let me assure you, it is not needed for you to go through the process of certification again! Coming to the Why: As you know PMI is the number 1 institute for project management in the world! Why do you think it is number 1? PMI has very high standards and ensures that the standards and the credential holders are always relevant to the industry needs. Therefore, it conducts a role delineation study and surveys to know what skills, knowledge, and tools are needed for the project managers. Based on these research activities, PMI has specified the Continuing Certification Requirements (CCR). CCR define what you need in terms of the Talent Triangle and the number of Professional Development Units (PDU) to earn for ensuring you stay relevant to the industry requirements. Now you can comprehend the importance of PMP renewal and the need to earn PDU to maintain your credential. 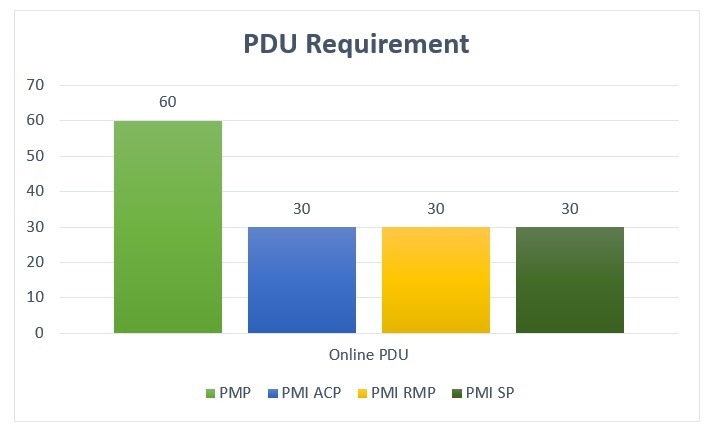 Since you are convinced of the need for PMP renewal, let us dig into the way to earn PDU and why online PDU is being preferred by professionals in the current scenario. PMI has a policy for maintaining your badge whether it is PMP, PgMP, PMI ACP, PM RMP, PMI SP or others, you need to be with the profession and update yourself. The number of PDU, whether it is online PDU or classroom, there is a certain number you need to earn and report in the certification cycle. Certification Cycle is typically 3 years from the date of your earning a credential. But, don’t wait until you are close to the deadline and go through the hassle of suspension of credential and revival, etc. You are a PMP and hence, you need to plan well to make sure you achieve your objective of the number of PDU, in the cycle and within an optimum budget. How many online PDU do you need? Here is the number you need per credential you hold. What are the ways to earn PDU and under which categories can you earn PDUs? You definitely would want to know what is the simplest and cost-effective way to get your online PDU so that you can be assured of your PMP renewal or other credential renewal. You are already aware of the PMP benefits, therefore, you would not want to lose this most coveted certification. So, let us explore to see an efficient way to earn online PDU. PMI has categorized two primary areas under which there are subcategories through which you can get PDUs. Earlier, we could earn PDU by attending PMP PDU courses or seminars. The traditional way was to attend classroom sessions or conferences or training to learn and earn PDU. There were training programs from PMI, chapters of PMI, Registered Education Providers (REP) and others. Training or PMP PDU courses is announced and the schedule, fee, and number of participants were fixed. So, you had to make yourself available or sign-up based on your availability. Of course, you need to inform your boss or take prior approval these. In terms of Cost, these sessions are around $2500 for a 2-day program and that too it is after some discounts and other offers included. You have to go to the venue where the training is being held and attend a full day session for 1-5 days depending on what PMP PDU course you chose. The life of practitioners was far more predictable and they could set aside time for the seminars, and other classroom types of PDU earning. Also, online PDU was not much in vogue. 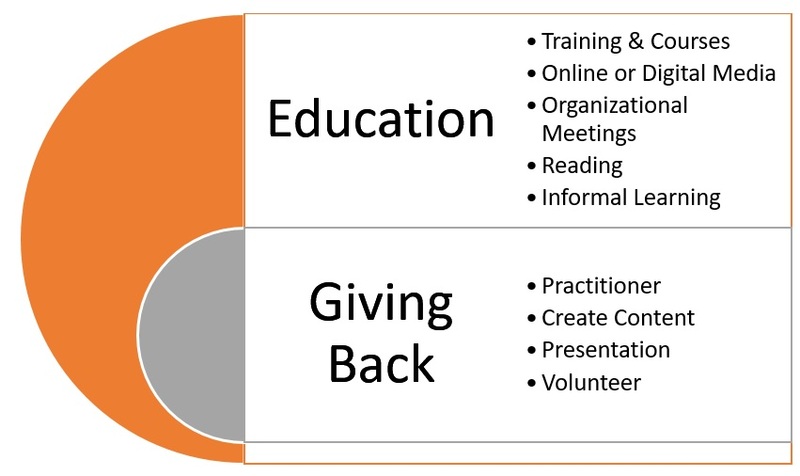 Organizations were also willing to spend for these learning opportunities while in the present fast-paced scenarios, quite a few organizations are putting the onus on the individual. No specification on the number of PDUs to earn in any of the categories. Hence, prior to December 2015, CCR did not specify minimum or maximum in each category but you could earn 15 PDU working as a practitioner. Now, you can earn only 8 PDU as a practitioner and a maximum of 25 PDU in the ‘Giving Back’ category. Of course, while you report these PDUs under education category, you could also report a maximum of 8 PDU since you are a project management practitioner. This you can report under ‘Giving Back’ category. Over the 3- year cycle, you have 8 under your account. How many more? Simple math tells you that you need 52 PDU from other categories and sub-categories. This works out to around 6.5 days of PMP renewal PDU. How much is 1 PDU? If you spend 1 hour on professional development in any of the sub-categories listed above, you can add 1 PDU to your kitty. No complex calculations here! Going back to your PMP PDU requirement, can you afford to spend 6.5 days going to a classroom training or other PMP PDU courses conducted in the traditional way? Is training the only option? Definitely not! Here are the other options so that you can take a judicious decision on which model works for you online PDU or others? Under this category, you can view videos online or attend webinars, or attend on-demand courses to fulfill your PMP Renewal PDU requirement. This falls under Category-C or Self-directed learning when you report online PDU on the CCR system. Why earning online PDU is the 2019 trend for PMP Renewal? 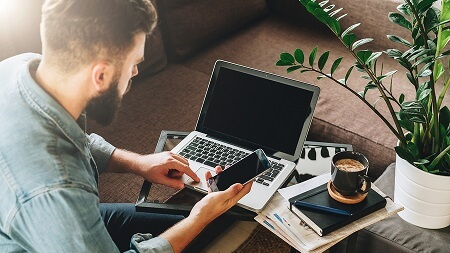 Self-paced: These PMI PDU Online courses allow you the flexibility to complete as many courses as you want at your pace. You are independent of the time, venue or the day for these PMP PDUs. During one weekend, you may complete courses and earn 14 online PDU while on regular days 2-4 online PDU. How many online PDU you want to earn is at your discretion. Affordable: Earning online PDU is less expensive than a regular classroom session. While classroom training or education courses may cost you close to $150 to $ 200 per PDU, you can get the entire 60 online PDU package for under $100 too sometimes. Imagine! Your PMP renewal requirement met within $100 to $200 which is a real steal! Time: Though you need to spend 60 hours to earn 60 PDU when you choose online PDU, you can avoid the commute and the associated traffic woes. Time saved is time earned for additional learning through online PDU course. Juggling: As a PM who is focused on career growth, you are already on a tightrope doing a balancing act! So, it is challenging to take time out for attending meetings or reading a book. Many times juggling your activities and priorities to pull that extra time for your professional development becomes almost a magic trick. Talent Triangle: You need to earn PDU amounting to 8 minimum in each category of the Talent Triangle. This means you have to report at least 8 online PDU in Leadership, Strategic & Business, and Technical components. The PDU courses are designed in such a way as to meet these requirements. Therefore, earning and reporting online PDU for the 3 components is important. Minimum PDU in Education: While PMI states that you need to report at a minimum 35 PDUs from any of the categories in Education, there is no cap on the maximum. This implies that you can get your full 60 online PDU from education. Carry–over: Are you wondering about the 8 PDU you can report as a Practitioner? Will it go waste if you opt for the 60 online PDU package? Don’t fret! You are allowed to carry forward up to a maximum of 20 PDU to your next CCR cycle. You are not just adding online PDU, it is the learning that is adding value and helping you stay current. On-site/Off-shore: Many project management professionals are working at various locations and need to move to a new location within a short notice. Hence, the traditional way to earn PDU goes for a toss. Never miss a session: You will never have to miss a PMP PDU course when you choose the online PDU option. All you need to do is find time to finish the class. Variety: You get to complete a rich mix of courses that meet the talent triangle as well as the minimum and maximum under each category stipulated by PMI. These are a few reasons why Project management practitioners are zeroing in on the online PDU option. However, there are other ways in which you can earn PMP PDU. We will be delving into each of them to understand the pros and cons of each option. PMI chapters conduct network meetings. These or other meetings wherein you have sessions on one of the talent triangle component also count as PMP PDU. Would you be available when this meeting is scheduled? Can you spare time to travel and attend a 2-hour session? As a PM, you have to keep an eye on the trade-off of cost vs benefit. Other than a few headlines and some snatches of professional networking sites, how long has it been since you read a book? And on project management? Unless you are a bibliophile, the book would only end up as a pillow! For most typical project managers, finding time to read a book, take notes and log in the number of PMP Renewal PDUs for what they have read is a challenge! If you are learning from a mentor or you have lunch and learn sessions in your office, these also count for PMP renewal PDU other than the PMP PDU courses we have discussed so far. Hence, keep track of all these and lo them into the CCRS portal of PMI to earn PDUs. Project management community is helping you with best practices and lessons learned along with a host of tools to make your wok efficient and effective. So, you too can add to the professional community. In what ways can you contribute? Other than being a practitioner, you can also do the following. Do you love writing? Then, you can write for blogs, white papers, and articles. This is one way to earn PDU in addition to the online PDU. But, can you spare that time even if you love writing? This is the dilemma that many professionals face. Other than online PDU, another great way is to create and deliver presentations at PMI events, seminars, etc. You can also sign up for the volunteer management system on PMI website. You can choose your area of interest and specify the number of hours you can spare for volunteering. 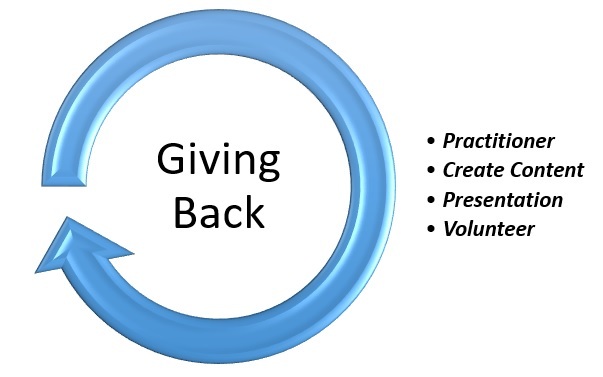 PMI encourages volunteering for project management activities. You earn PMP renewal PDU through this option too. But, if you are wondering if you can spare time for this as you already out of time for your personal activities and family, don’t worry, you are not alone! Of course, let me add that volunteering is very satisfying and is a great healer too but time is the scarce resources for many PMs. Once you have completed the 60 online PDU package, you will be guided on the submission process for the PDUs. What after that? Along with earning online PDU, you also need to report them on the CCRS to complete the renewal process. 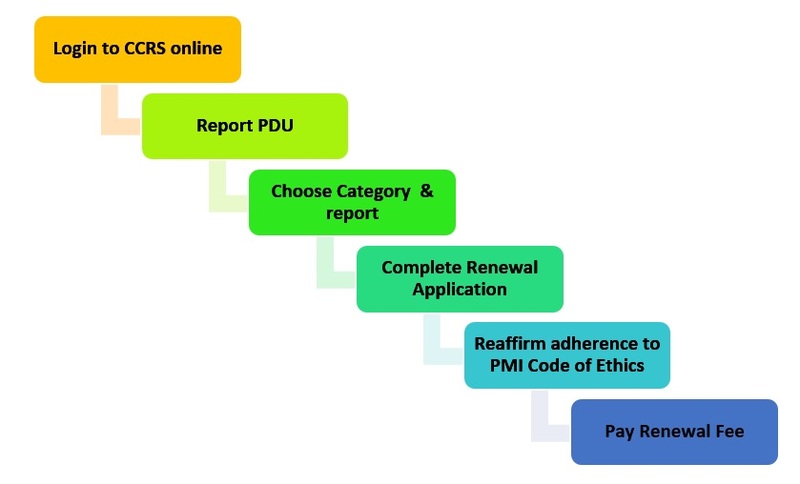 What are the steps involved in PM renewal? You have an overview of the PMP PDU opportunities that are allowed by PMI. Of these, while you have a maximum allowable limit on the ‘Giving Back’ category of 25 PDU, you can earn the complete 60 PDU requirement for PMP renewal through Education, online PDU category. In addition to this, online PDU gives you the added cost advantage and is absolutely affordable at $100-$150 for the entire 60 PDU bundle. Compared to the traditional way of attending seminars, education courses, training in a classroom mode which is cumbersome and expensive, online PDU is a value for money! You do not even have to track if the course meets the talent triangle components or other conditions set by PMI. These online PDU bundled offers of 60 PDU are designed to address all your needs. With the Master of Project Academy’s online PDU courses, you are on autopilot and can be assured of completion of the PMP renewal requirements. Check out the PDU Bundle options available now and earn the necessary online PDU to renew your PMP. Trying to Earn PDU? Hit the Jackpot!